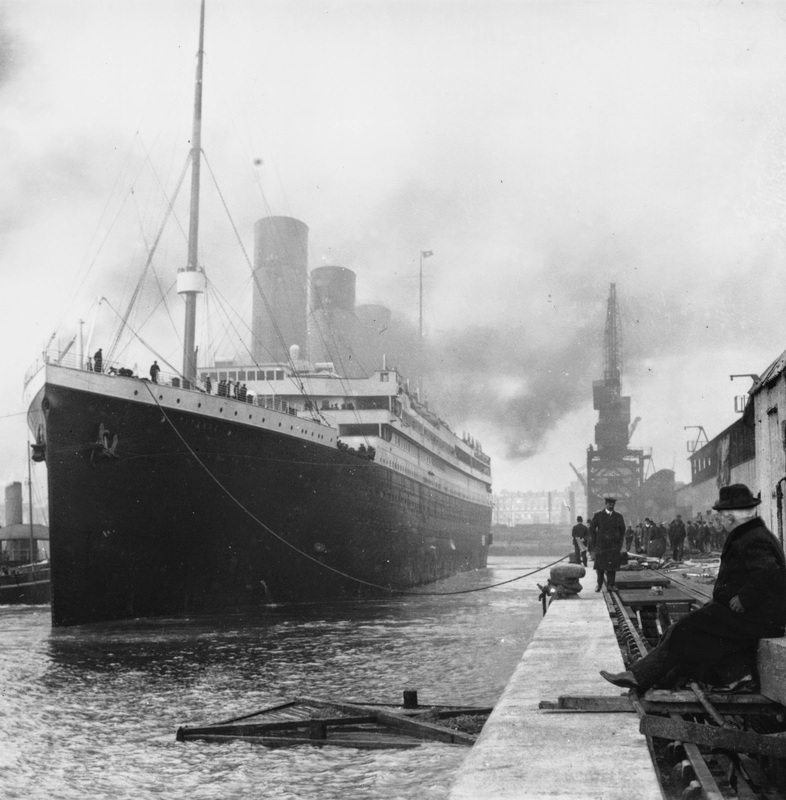 TITANIC: History's Most Famous Ship: April 10,1912: Titanic Sets Sail! April 10,1912: Titanic Sets Sail! At the blast of Titanic's steam whistles, it was time for family and friends to go ashore and the gangways were withdrawn. "Just before the last gangway was withdrawn, a knot of stokers ran along the quay, with their kit slung over their shoulders in bundles, and made for the gangway with the evident intention of joining the ship. But a petty officer guarding the shore end of the gangway firmly refused to allow them on board; they argued, gesticulated, apparently attempting to explain the reasons why they were late, but he remained obdurate and waved them back with a determined hand, the gangway was dragged back amid their protests, putting a summary ending to their determined efforts to join the Titanic." The lines were cast off and Titanic begins to move away from her berth. The passengers crowd the decks of the ship waving their goodbyes to those on the dock. Churning up the mud from the sea floor, the three huge propellers begin to move the ship along the side the dock with the aid of 5 tug boats. Photographers and news reporters begin to record the accounts of this moment. "The vision of the great liner as she moved away from Southampton quay forms an imperishable memory. She looked so colossal and so queen." The people from the dock wave good bye as Titanic passes by. Titanic's maiden voyage has begun.